countries growing GM crops commercially in 2004. World map showing the countries growing GM crops commercially in 2004. 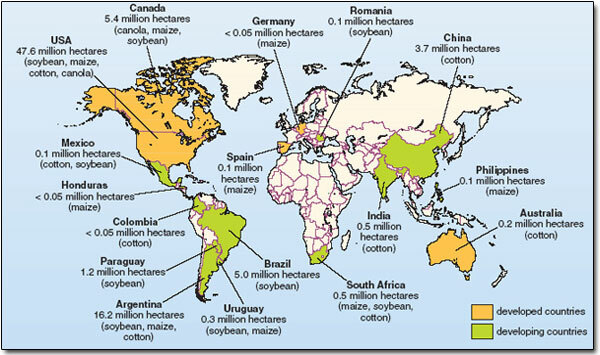 The map includes, for each country, the area sown with GM crops and the major crops grown. This entry was posted in Uncategorized and tagged Economy, food, geography, History, patterns, Security, Technology, World. Bookmark the permalink.